Last week we were supposed to be doing Kiwi in class along with celery and chick peas, however whilst running Mange Tout in the kids club in Lanzarote last year I discovered I was allergic to them?!?! Following a severe rash, swelling of the mouth and ulcers I have been advised to refrain from eating them and hence removed them from the Mange Tout curriculum. Please do not let my experience put you off our furry little friends. 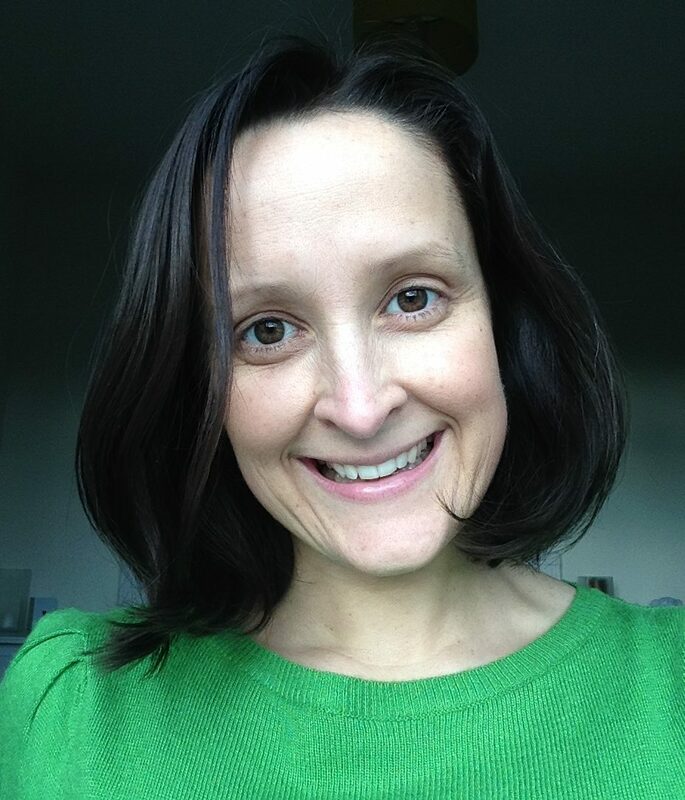 I have included lots of interesting ways to help you explore and enjoy Kiwi fruit with your children at home. Let me know how you get on! Kiwi fruit is the best source of Vitamin C available in fruit containing twice as much as oranges! And Kiwis also contain more fibre than an apple. It is an excellent but extremely gentle laxative ideal for youngsters who are often constipated. This is a very strange looking little fruit and not immediately appetizing. 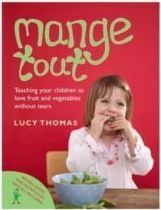 Point them out to your child in the shops and discuss whether they are fruit or vegetable. You could also discuss whether they are sweet or sour, if they need cooking, what colour they are inside. If you are able to handle the fruit, squeeze them gently – the softer, the riper and sweeter. Help your child to select a few to experiment with at home. Say something like, “Shall we take a few home to find out what they are like?” In this way your child will know that it is just for discovering and experimenting rather than worrying if they will have to eat it. Explain that kiwi fruit have lots of vitamin C which helps fight cold germs so they are very good for our bodies. The skin of a kiwi is unlike most other fruits and feels almost furry. But surprisingly, it is thin and can be eaten as long as the fruit has been well washed, although it’s not to everyone’s taste! Decide whether to cut the fruit lengthwise or cross-wise – each will give a different pattern. At one end of the fruit, beneath the skin, is a sharp little spike. Show this to your child and feel how hard and sharp it is. This should be removed before eating the fruit unsupervised. The fruit is translucent and easily chopped with a blunt knife. It feels slippery and fingers will get very sticky but licking them clean may well be the first tasting experience! Kiwis do not have a strong flavour and go well with other fruits. Use a lemon squeezer to see how much juice comes out of one half. Keep me healthy! Keep me healthy! Rolling the fruit – do they roll in a straight line? How are they different to a ball? Cut the fruit into thick slices and stack them to see who can build the highest tower. Carry a fruit in a dessert-spoon. Hide some around the room and let your child collect them in a bag or basket. Make an eating game! 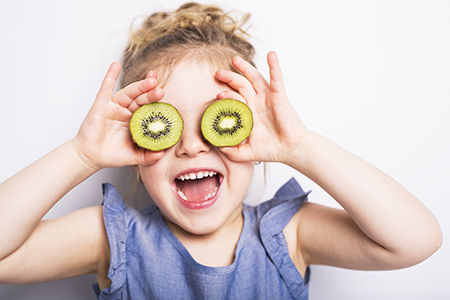 If your child is happy to eat a small piece of fruit, scoop out the flesh from half a kiwi and dice it into small chunks. Keep the shell of the fruit to hide the pieces underneath. Take turns to roll a dice to determine how many pieces of fruit you can have. Use an old toothbrush to gently scrub the skin clean. Slice thinly and lay over end of your finger to see if you can see through it. Draw a circle, let your child colour it green and then dot it with black for the seeds. Look at the fruit to see how the seeds are arranged. Use the whole fruit as a body and add limbs made from other fruit or vegetables. Encourage eating by placing kiwi fruit in an egg cup, slice the top off and eat it like a boiled egg.